Lovett and Ms. Yvonne Bradshaw presented things that happened from 1917 through 2017. The attendees enjoyed a lovely lunch. Mrs. Clark made remarks before cutting her birthday cake. The Inez Strickland Clark was born August 28th 1917 in Brooklet, Georgia to the late Owen and Magnolia Strickland. She’s the eldest surviving sibling of nine children. Five sisters and Three brothers who are deceased. Sisters Beatrice and Thelma reside in New Jersey. In 1938, Inez married Mr. Chester Clark. From that union came a son, Wilson (Virginia) who lives in New Jersey. She also has a God-daughter, Thelma (Richard) who she resides with in Savannah. 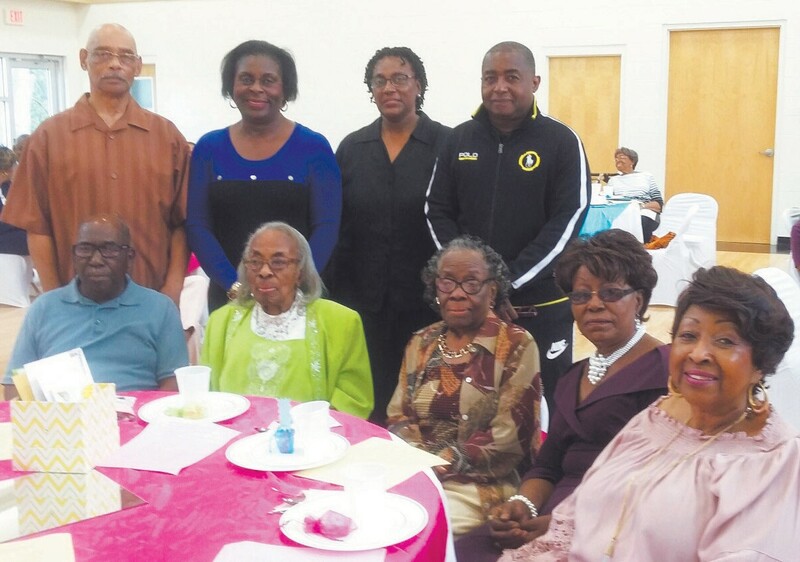 Mrs. Clark has four grandchildren, two great grandchildren, six God-grandchildren and host of nieces and nephews, many friends especially at the Liberty City Community Center. God equipped her hands with the gift of cooking and her heart with compassion and empathy for others. 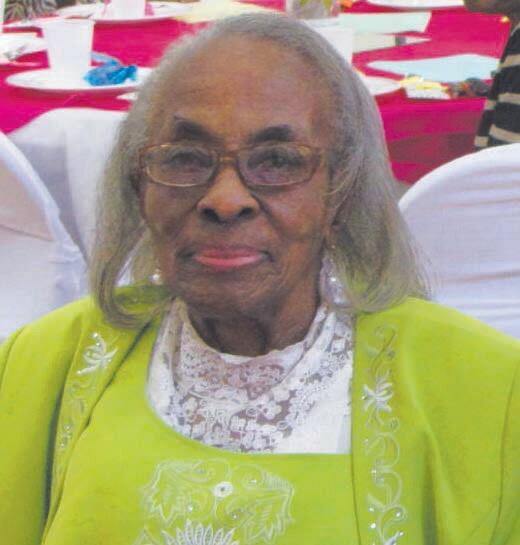 At the age of 95 she became the oldest mother of Jonesville Baptist Church P.A.W the oldest of Lliberty City Community Center and holds the thread that keeps her family together. We thank God for sharing this blessing, such a beautiful and wonderful woman in our lives. We are so happy to celebrate 100 years old birthday celebration. Ms. Gracie Wilkins chairwoman, and Mrs. Rosalyn Wright Liberty City Community Center Seniors Supervisor.